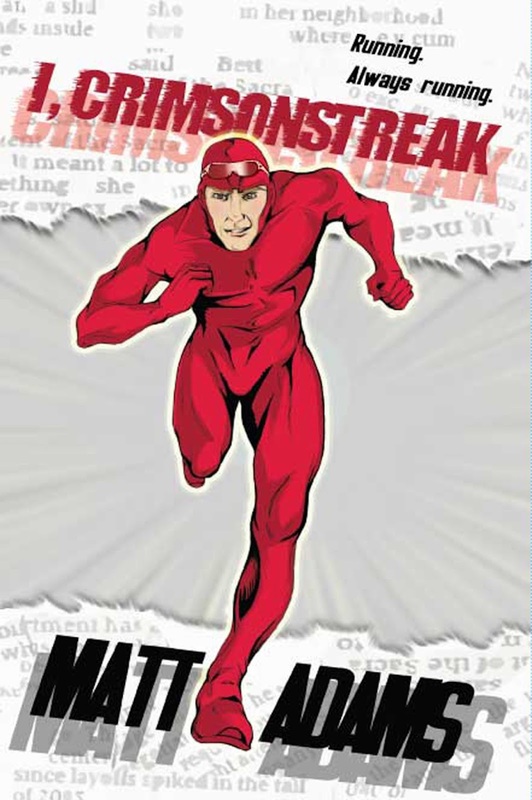 Crimsonstreak was born into a superhero family so crime fighting is in his genes. With two super parents in Miss Lightspeed and Colonel Chaos, Chris Fairborne (or Crimsonstreak) gained the ability of super speed as a child. One of the superhero clan hasn’t always been on the right side of the law though, Crimsonstreak’s father only became good after meeting his mother and realising the error of his ways. Together they saved the world numerous times but just as Crimsonstreak is becoming a superhero in his own right, his mother is killed in a duel with the supervillain Zeus Caesar. His father never recovered from losing his wife, he withdrew from the world and even his own son. He went so far as to date another superhero, whose power was shape-shifting and therefore could visually imitate his wife’s appearance perfectly. But every attempt to diminish his feeling of loss ends in tears…or sometimes worse. When Crimsonstreak hears of a huge explosion in his hometown, he races to the scene but before he can try and help, he is arrested and wrongly accused of causing the devastation. Even his father turns against him and Crimsonstreak is admitted to an asylum for the criminally insane. Locked up with super villains he has personally caught, life is especially hard for him on the inside. But soon he notices more and more superheroes being locked up, not just supervillains. It seems anyone with a ‘power’ is being imprisoned, whether good bad. Crimsonstreak realises he must break free and get some answers, why did his father lock him up and why are heroes being imprisoned? When he does manage to escape, his home is a very different place and the world is suffering from a brand new threat. Although I have found this novel classified as an adult book, it feels like it is very much aimed at teenagers and a young adult audience. The main characters are younger and the language and references used throughout would also point to this. I found this book strangely slow during the first half. Although there are action scenes and what was meant to be a twist (that was hinted at earlier, therefore, ruining the surprise), it failed to really create any sort of tension. Without this, it just fails to grab the reader into wanting to read more. The new regime ruling the country is continually referred to as evil but for most of the book, they do nothing truly evil at all. They are locking up superheroes but it wasn’t even really conveyed that the general public was unhappy with the new situation until well into the latter part of the book. There are many superhero books out at the moment due to their continually growing popularity and I am sorry to say this one just wasn’t for me. Continual ‘smart aleck’ conversation leaves the characters without much depth and this may appeal to some teenagers that don’t read much but for anyone else, I am afraid this will leave them a bit disappointed.